Bhubaneswar: As many as 81 candidates contesting for the second phase of Lok Sabha and Assembly elections in Odisha are crorepatis, with Biju Janata Dal (BJD) president and Chief Minister Naveen Patnaik topping the list, said a report on Monday. BJP’s Balangir Lok Sabha candidate Sangeeta Kumari Singh Deo has assets over Rs 37 crore, while BJD candidate from the same Lok Sabha seat Kalikesh Narayan Singh Deo has assets over Rs 20 crore. BJD’s Bargarh Lok Sabha candidate Prasanna Acharya owns total assets worth over Rs 9 crore. Naveen Patnaik, who is contesting from two Assembly constituencies — Hinjili and Bijepur — owns assets worth Rs 63.87 crore. While the BJP candidate from Patnagarh Assembly seat K V Singhdeo has total assets of Rs 37.95 crore, the BJD candidate from Jharsuguda Naba Kishore Das owns assets worth Rs 33.62 crore. 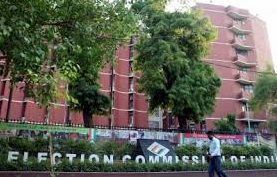 The second phase of polling will be held for Bargarh, Sundargarh, Balangir, Kandhamal and Aska Lok Sabha seats and 35 Assembly seats under them on April 18.